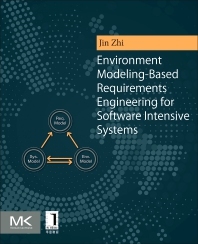 Environment Modeling-Based Requirements Engineering for Software Intensive Systems provides a new and promising approach for engineering the requirements of software-intensive systems, presenting a systematic, promising approach to identifying, clarifying, modeling, deriving, and validating the requirements of software-intensive systems from well-modeled environment simulations. In addition, the book presents a new view of software capability, i.e. the effect-based software capability in terms of environment modeling.